NB. This resource is currently under-construction and will be fully functional soon! To search keyword items scroll through the A-Z index and click on the designated letter (e.g. ‘A’) to view full keyword entries. Alternatively scroll horizontally using the arrow keys. Items in orange text refer to keyword entries as they appear in Image Studies: Theory and Practice. Abstract art, nonfigurative art, nonobjective art, and nonrepresentational art are loosely related terms. They are similar, although perhaps not of identical meaning. Abstraction indicates a departure from reality in depiction of imagery in art. This departure from accurate representation can be only slight, or it can be partial, or it can be complete. Abstraction exists along a continuum. Even art that aims for verisimilitude of the highest degree can be said to be abstract, at least theoretically, since perfect representation is likely to be exceedingly elusive. Artwork which takes liberties, altering for instance color and form in ways that are conspicuous, can be said to be partially abstract. Total abstraction bears no trace of any reference to anything recognizable. In geometric abstraction, for instance, one is unlikely to find references to naturalistic entities. Figurative art and total abstraction are almost mutually exclusive. But figurative and representational (or realistic) art often contains partial abstraction. ABSTRACT EXPRESSIONISM is the term applied to abstract art in the 1940s and 1950s developed by American painters such as Jackson Pollock, Mark Rothko and Willem de Kooning. It was often characterized by gestural brush-strokes or mark-making, and the impression of spontaneity. They were inspired by surrealism and automatism and the idea that art should come from the unconscious. You can view abstract expressionist work from the Tate Gallery’s collection here. BYZANTINE ICONS were crafted in all media, including marble, ivory, ceramic, gemstone, precious metal, enamel, textile, fresco, and mosaic. Icons (from the Greek eikones) are sacred images representing the saints, Christ, and the Virgin, as well as narrative scenes such as Christ’s Crucifixion. CAMERA LUCIDA (latin for ‘light chamber’) is an optical device used by artists as a drawing aid for the accurate rendering of perspective. It works by superimposing the subject being drawn onto the drawing surface and it was patented in 1807, although the optics involved were known of much earlier. It was famously used by William Fox-Talbot in 1833, and later by David Hockney. Hockney controversially suggests that the Camera Lucida was used by artists such as Caravaggio, Velázquez and da Vinci, in his book Secret Knowledge and his 2003 TV documentary of the same name. CAMERA OBSCURA (latin for ‘dark chamber’) is an optical device that in its simplest form uses a pinhole through which an external scene is projected into a box or a room. A lens can be added to form a larger and crisper image. Camera Obscura technology, dating back as far as the fifth century BC and mentioned in Euclid’s Optics, was described in detail by Da Vinci in Codex Atlanticus (1502). Like the Camera Lucida, this device was discussed by David Hockney in Secret Knowledge, and mentioned in the video link above. CAVE PAINTINGS in Asia and Europe date back some 40,000 years. These figurative paintings, mostly of animals, were not merely decorative features, but it is thought that they were also a form of communication as many have been discovered in areas with little or no evidence of human habitation. There is speculation as to the original purpose and meaning of prehistoric cave paintings, such as those discovered at Lascaux, with some suggesting that they are tied to the rituals of hunting and others viewing them as early star charts, for example. COMPUTED TOMOGRAPHY (CT), Or computerised axial tomography (CAT) is a specialised X-ray test, giving relatively clear pictures of the inside of the body. In particular, it can give good pictures of the body’s soft tissues, such as muscles, organs, large blood vessels, the brain and nerves, which do not show on ordinary X-ray pictures. COPERNICUS was an astronomer, born in 1473 in Thorn (modern day Torun) in Poland. The central theory of Copernicus’ major work De Revolutionibus Orbium Coelestium (On the Revolutions of the Celestial Spheres) is that the planets move around the sun, with the Earth rotating daily on its axis and revolving yearly around the sun. This challenged the established view that the Earth was stationary at the centre of the universe, with all the planets, the Moon and the Sun rotating around it. Copernicus died in 1543, the same year that De Revolutionibus Orbium Coelestium was published. DISCOURSE is a term with no single stable definition. It is used differently by different theorists and in a variety of disciplines, with many tracing back to French philosopher and historian of ideas Michel Foucault (1926 – 1984) who is often seen as the founder of discourse theory. At its simplest, discourse is a written or spoken communication or debate. More specifically, it is a connected series of utterances or texts that can be analysed: discourse is not an object in itself, but rather a set of relationships existing between discursive events. Importantly, discourse analysis is not only a study of traditional texts, but uses images (and other visual objects) as texts that interact and interplay. DUNHUANG STAR MAP is one of the first known graphical representations of stars from ancient Chinese astronomy, dated to the Tang Dynasty (618–907). The astronomy behind the map is explained in an educational resource posted on the website of the International Dunhuang Project, where much of the research on the map has been done. The Dunhuang Star map is to date the world’s oldest complete preserved star atlas. ECOLOGY OF IMAGES is a phrase used by Susan Sontag at the end of her book On Photography (1977). Sontag sees photographs as inextricably linked with the reality they depict and she makes a plea for ‘an ecology of images’ as an approach to making and reproducing photographs where images are considered a part of this reality. The proliferation of images since On Photography was published, and the radical changes in their production, distribution and access, has made this plea even more critical. A diagrammatic of ‘ecology of images’ can be found here. EIDOS is a Greek term meaning outward visible form, shape, appearance, essence or type. It has become an anthropological term for the distinctive expression of the cognitive or intellectual character of a culture or social group. It defines the formal content of a culture, encompassing its system of ideas and its criteria for interpreting experience. ELECTROMAGNETIC SPECTRUM or EM spectrum is the range of all types of EM radiation. Radiation is energy that travels and spreads out as it goes – the visible light that comes from a lamp in your house and the radio waves that come from a radio station are two types of electromagnetic radiation. The other types of EM radiation that make up the electromagnetic spectrum are microwaves, infrared light, ultraviolet light, X-rays and gamma-rays. ENLIGHTENMENT is the period in the history of western thought and culture that lasted from around the mid seventeenth to the mid eighteenth century. It was a time that saw dramatic revolutions in science, philosophy, society and politics. The term ‘enlightenment’ only emerged in the English language in the latter part of the nineteenth century, with particular reference to French philosophy. With its focus on reason rather than mediaeval superstition, the enlightenment brought about a new emphasis on learning and on the arts. There was an increase in the recording and dissemination of ideas, with the Republic of Letters fostering communication amongst intellectual communities across Europe and America. EPISTEME is a word etymologically derived from the Ancient Greek word ἐπιστήμη for knowledge or science, which comes from the verb ἐπίσταμαι, “to know”. It represents, especially in the Foucauldian sense, a fundamental system of understanding, or set of ideas, that shape knowledge during a given epoch. With its basis in historical a priori, it is sometimes contrasted with ideas of empiricism. EPISTEMOLOGY is derived from the word episteme, with the addition of the postfix logos, and means a study of knowledge systems, or a theory of knowledge. Epistemology attempts to define knowledge by asking questions such as: “What is knowledge?”, “How is knowledge acquired?”, “What do people know?”, “What are the necessary and sufficient conditions of knowledge?”, “What is its structure, and what are its limits?” Much of the debate in this field has focused on the philosophical analysis of the nature of knowledge and how it relates to connected notions such as truth, belief, and justification. FIGURE is frequently used to mean the human form or bodily shape, often relating to a representation of the human form in a drawing, painting or sculpture. Although representations of the body can be found in prehistory and are abundant in antiquity, the word figure has 14th century origins, meaning ‘to represent’, to ‘form a likeness’, or to ‘shape into’. Consistent with its origins, a figure can also be a representation in the form of a diagram or illustration inserted into a text. 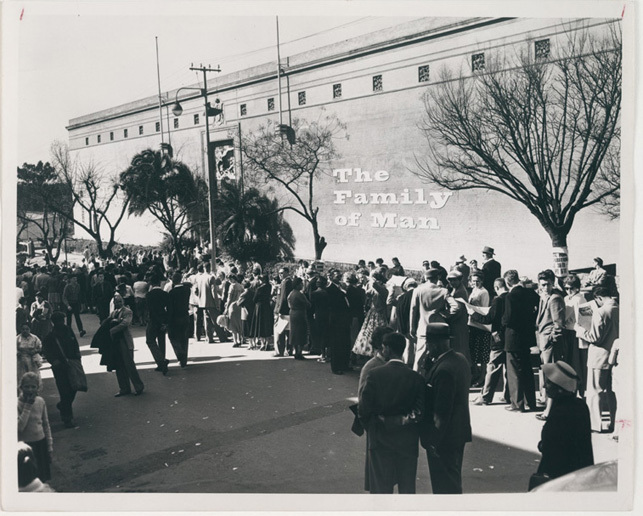 THE FAMILY OF MAN is a photography exhibition, curated by Edward Steichen, that took place at the Museum of Modern Art in 1955 and then toured the world for eight years afterwards.More than 9 million people visited the exhibition across its locations and 2.5 million bought the accompanying catalogue. 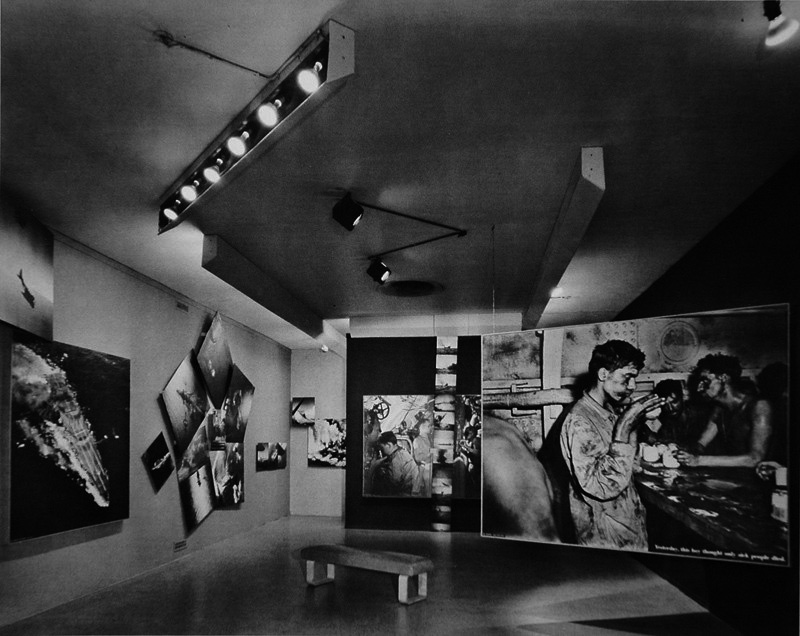 The exhibition contained 503 photographs from 68 countries (mainly Europe and the US), grouped thematically to offer a view of the human experience. The collection is archived and displayed at Clervaux Castle, Luxembourg, and, because of its historical significance was added in 2003 to UNESCO’s Memory of the World Register. HERMENEUTICS is a theory of interpretation that has its roots in the philosophy of ancient Greece. It emerged in the Middle Ages as a study of Biblical texts and then came to include the study of ancient and classic cultures. The terms ‘hermeneutics’ and ‘exegesis’ are sometimes used interchangeably, but exegesis focuses primarily upon texts, whereas modern hermeneutics includes both verbal and nonverbal communication as well as semiotics. Hermeneutics also has many social applications, from the interpretation of materials in archaeology to the interpretation of law, for example. HUBBLE SPACE TELESCOPE is one of NASA‘s most successful and long-lasting science missions. It has beamed hundreds of thousands of images back to Earth, shedding light on many of the great mysteries of astronomy. Its gaze has helped determine the age of the universe, the identity of quasars, and the existence of dark energy, making it one of NASA’s most successful and long-running science missions. More than 10,000 scientific articles have been published based on Hubble data; the sheer amount of data based on Hubble observations has helped make it one of history’s most important observatories. HYPERICON is a term used by W.J.T. Mitchell to mean a metapicture (a picture about a picture) that encapsulates a whole system of knowledge. For example, in Picture Theory: Essays on Verbal and Visual Representation he cites the famous metapicture of the Duck-Rabbit as the ideal hypericon for Wittgenstein because of its multistability; it is ‘an emblem of resistance to stable interpretation, to being taken in at a glance.’ (Mitchell: 1995, p.50). ICONOLOGY is the academic discipline of the study of images in art and their meanings, within cultural, social, and historical milieux. The terms ‘iconology’ and ‘iconography’ are often interchanged. Erwin Panofsky defines iconography as ‘a description and classification of images’, and iconology as ‘an iconography turned interpretive’. Aby Warburg used ‘iconography’ in his early work, replacing it later with ‘inconology, his particular method of visual interpretation being known as ‘critical iconology’. Ernst Gombrich defines iconology as doing for the image what linguistics has done for the word, whilst W.J.T. Mitchell writes that iconology is a study of ‘what to say about images’, and of ‘what images say’. ICONOCLAST is the term traditionally applied to one who opposes orthodoxy and religion as being erroneous or pernicious, or based on superstition. There may also be a political motive for this opposition. it is used more specifically for those who physically destroy religious images and representations, originating from the Greek eikon (image) + klastes (breaker). ICONOCLASM is the act of destruction of images, for the reasons outlined above. Religious iconoclasm is often the result of sectarian disputes between factions of the same religion; the destruction of religious icons by a group with another religion or culture is not generally considered as iconoclasm. Political iconoclasm often accompanies revolution or regime change, with the very public act of destruction of statues and monuments identified with the previous regime. These two types of iconoclasm are often inextricably linked, as seen recently in Iraq, for example. ICONOPHILE is one who worships icons. A more contemporary definition of iconophile is that of a lover of images of all kinds. ICONOPHILIA is the love of icons or images. ICONOPHOBIA is the fear, mistrust or even hatred of icons or images. IDOLATRY is the worship of the physical representation of a god and is forbidden in all the Abrahamic religions. Catholicism embraces idolatry and uses representations of God in worship, whereas in the Protestant religion God cannot be represented as such by icons. Idolatry has also come to mean the blind or excessive devotion to something or someone, such as happens within celebrity and popular culture. IMAGEFARE is the use of images as a substitute for traditional military means to achieve political objectives. It is arguably a successful methodology for the information age, where strategically placed networked images can rapidly progress in terms of popularity and critical impact, overturning previous images in military fashion. IMAGEOLOGY is the study of images. It is a term often used when referring to scientific images. IMAGIST is one who practices imagism, which is considered to be the first organized Modernist literary movement in the English language. The Imagists rejected the sentiment and discursiveness typical of much Romantic and Victorian poetry in favour of precision of imagery through clear and unadorned language. IMAGISTIC is the adjective pertaining to imagism. INTERDISCIPLINARY practices involve working across two or more established academic disciplines or fields, combining them into one activity. Although interdisciplinary and interdisciplinarity are often perceived as twentieth century terms, the concept has historical antecedents in Greek philosophy. LITERACY (and Visual Literacy / Competence). Literacy is, at its simplest, the ability to read and write, but the term has been expanded to include the ability to use language, numbers, images and other means to understand and use the dominant systems of a culture. It has been argued that literacy always exists within a context and a system of ideas and as such should be perceived as an ideological term (Jack Goody: 1986). Visual literacy can be defined as the ‘ability to construct meaning from visual images’ (Giorgis, Johnson, Bonomo, Colbert, & al: 1999), broadly using the same critical skills of exploration, critique and reflection that are involved in the understanding of a text. Visual literacy is also dependant on an awareness of the context and cultural milieux in which images exist. MAGNETIC RESONANCE IMAGING (MRI) is a medical imaging technique that uses a combination of magnetic fields and radio waves to form images of the body. MRI and CT (see ‘computed tomography’) are complementary imaging technologies, with each having its advantages and limitations for particular applications. MALE GAZE was first introduced as a concept by British film theorist Laura Mulvey, in her 1975 essay Visual Pleasure and Narrative Cinema, as a feature of gender power asymmetry in film, as the male gaze frequently takes precedence over the female gaze. Mulvey’s essay further argues that women often look at themselves through the eyes of men, resulting in a complex conflation between male gaze and female gaze. The male gaze has become a critical concept in contemporary feminist film theory and media studies but can be traced back as far as the Renaissance, where, as John Berger argues in Ways of Seeing, female nudes were painted almost exclusively for the benefit of the male viewer. MEDIALITY can be understood as an individual medium’s specific manner of functioning, and it is clear that the meaning of an object (an image, for example) cannot be independent of its mediality. Objects can be transferred from one media to another (remediated) and medialities can be mixed (multimedia, mixed media), with implications for the object and its meaning. MEDIUM IS THE MESSAGE is a phrase used by Marshall McLuhan in his book, Understanding Media: The Extensions of Man, first published in 1964, where he agues that the characteristics of the medium are critical to the message it carries and to how the message is understood. McLuhan’s idea of media is not restricted to conventional forms of mass-media communication such as radio, television or press: at the beginning of Understanding Media, he tells us that a medium is any extension of ourselves, suggesting that a hammer extends our arm and that the wheel extends our legs and feet as so are classed as media. He warns us that we are often distracted by content, arguing that it often ‘blinds us to the character of the medium.’ (1964, p9) . McLuhan frequently punned on the word “message”, changing it to “mass age”, “mess age”, and “massage”; a later book, The Medium Is the Massage (1967) was originally to be titled ‘The Medium is the Message’, but McLuhan preferred the new title, which is rumoured to have been a printing error. MICROSCOPY is the use of microscopes to view objects and areas of objects that cannot be seen with the naked eye. Optical, electron, and scanning probe are all types of microscopy. Optical or light microscopy involves magnification of the through single or multiple lenses. Electron microscopy involves sending an electron beam through a thin slice of the object. Scanning probe microscopy uses the physical contact of a solid probe tip to scan the surface of an object and form an image. Robert Hooke (1635-1703) was the first to use microscopy to make images in his 1665 illustrated book Micrographia. MIMESIS comes from the Ancient Greek μιμεῖσθαι (mīmeisthai), ‘to imitate’, an idea that then governed the creation of works of art, in particular with reference to the physical world as a model for beauty, truth, and the good. Plato and Aristotle defined mimesis as perfection and imitation of nature, but Aristotle also advocated the use of mathematical ideas and symmetry in the search for the perfect model. Both philosophers contrasted mimesis with diegesis, or narrative, arguing that mimesis shows, whereas diegesis tells. In 17th and 18th century aesthetics, mimesis remained bound to ideas of idealised nature. However, it has become a broad and theoretically elusive term that traverses aesthetics, psychoanalysis and anthropology, for example. 20th century thinkers such as Benjamin, Adorno, Girard, and Derrida have defined mimetic activity in relation to social practice and interpersonal relations rather than as simply a process of making and producing models. MIRROR STAGE is an important component in Lacan’s critical reinterpretation of the work of Freud. Lacan proposes that human infants pass through a stage in which an external image of the body (reflected in a mirror, or represented to the infant through the mother, for example) gives rise to a mental representation that is established as an ‘ideal ego’ (Lacan:1994, p. 257), towards which the subject will perpetually strive throughout his or her life. MODERNITY is a term of art used in humanities and social sciences to designate a historical period, i.e. the modern era. Modernity was marked by the rejection or questioning of tradition, socio-cultural norms, attitudes and practices, with associated with cultural and intellectual movements stretching from around 1500 up to the 1980s. In art, the related terms ‘modernism’ and ‘modern art’ are generally used by critics and historians to describe dominant art movements from Gustav Courbet up to abstract art and its developments in the 1960s. Modernity in art was characterised by constant innovation and a rejection of conservative values such as the realistic depiction of the world. MULTIMODALITY is a theory of communication that describes practices that use several media together to create a single message. The idea of multimodality has been studied since the 4th century BC, when classical rhetoricians used several different modes, such as voice, gesture, and expressions, in public speaking. However, the term was not properly defined until the 20th century, and the latter part of the century saw the development of multimodality through research on learning techniques. Since the 1990s, multimodal opportunities have grown with the onset of digital technologies that afford integration of text, sound, still and moving image. NOTATION is a term used in linguistics and semiotics to define a system of graphics or symbols, characters and abbreviated expressions. The term is generally used in technical and scientific areas of study, such as maths, sciences, computing and economics. One notable exception is musical notation, a system used to visually represent music and sound through the use of written symbols that can be read, interpreted and performed. OPTICS is the branch of physics which studies the behaviour and properties of light, usually visible, ultraviolet, and infrared light, and the technical instruments that use or detect it. The optics of photography, for example, involves both lenses and the medium in which the light waves are recorded, whether it be a plate, film, or electronic image sensor. 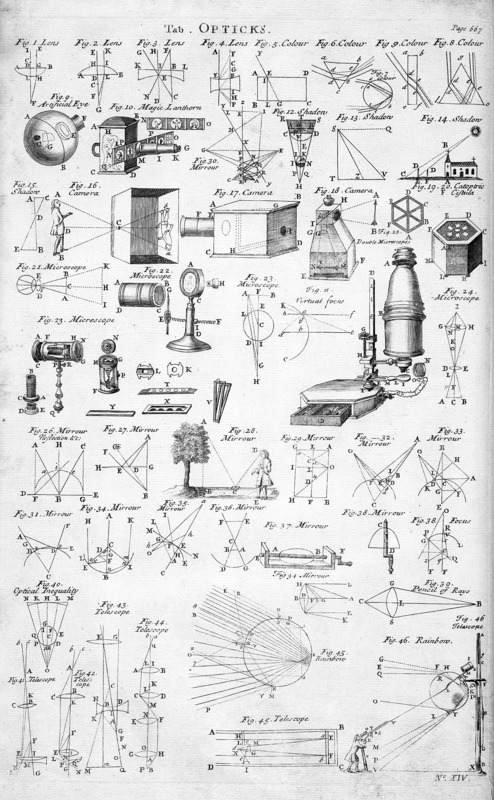 The history of optics is a long one, beginning with the development of lenses by the ancient Egyptians and Mesopotamians, and followed by theoretical investigations by early Greek philosophers. Today, practical applications of optics are found in a variety of technologies and everyday objects, such as mirrors, lenses, telescopes, microscopes, lasers, and fibre optics. OTTOMAN MINIATURE PAINTING or Turkish miniature is an art form from the Ottoman Empire, with the oldest dating from the 6th century. They are linked to the Persian miniature tradition and also show strong Chinese influences. Together with illumination, calligraphy, marbling, and bookbinding, miniature painting was one of the constituents of Ottoman book arts. The paintings were made by a group of head painters and apprentices, with no individual artists named. The miniatures, though prominent, were created and grounded in the context of the book in which they were included, functioning as illustrations rather than standalone works of art. PANOPTICON is a type of building conceived, but never realised, by Jeremy Bentham for institutional use: for hospitals, schools and asylums and more particularly for prisons, consisting of a circular structure with an inspection house at its centre, from which inmates could be observed. The concept of the Panopticon was address by Michel Foucault in Discipline and Punish (1975). Foucault proposes that hierarchical structures like the army, schools, hospitals and factories, as well as prisons, have evolved to resemble Bentham’s Panopticon. Taking forward Foucault’s analysis, the idea of the Panopticon has obvious implications today within our surveillance society. PERSPECTIVE is the graphical representation, on a flat surface, of a scene as it is perceived by the eye. Two important characteristic features of perspective are that objects are smaller as their distance from the observer increases; and that they are foreshortened, meaning that an object’s dimensions along the line of sight are shorter than its dimensions across the line of sight. The most common categorizations of artificial perspective are one-, two- and three-point, referring to the number of vanishing points in a perspective drawing. Early paintings and drawings did not use perspective but sized objects and characters hierarchically according to their spiritual or thematic importance. The relative position of elements in the composition was by shown by overlapping. ‘Vertical perspective’ was used in Ancient Egyptian Art, with the most important figures often shown as the highest in a composition. Around 1413 Filippo Brunelleschi, demonstrated the geometrical method of perspective, still used by artists today. PICTURE LIBRARIES hold collections of images (and other media) for public and private use. Commercial operations such as Alamy, Shutterstock, or Getty Images sell images, or their rights; whereas some institutions provide free online access. The British Library, the National Media Museum and the Library of Congress, for example, have all released images through Flickr Creative Commons. PICTURE THEORY is a term used by Wittgenstein in his ‘picture theory of language’, found in his first book, the Tractatus Logico-Philosophicus (1922). Put simply, Wittgenstein argues that the function of language is to allow us to picture things, and that sentences work like pictures in that their purpose is also to picture possible situations. Picture Theory: Essays on Verbal and Visual Representation (1995), is a book by W. J. T. Mitchell, where he asks what pictures (and theories of pictures) are doing now (i.e.in the late twentieth century), when the power of the visual is said to be greater than ever before and the ‘pictorial turn’ has supplanted the ‘linguistic turn’ in the study of culture. PHOTOBOOK (see also Photo-essay). A Photobook is a bound volume of related photographs that work in sequence or in relation to each other. They are usually authored by the photographer and, whilst they may contain some text, they are generally a showcase and a vehicle through which photographs can carry a message by themselves. Photobooks are booming in the digital age, with companies like Blurb offering competitive rates for self publishing. Although primarily directed at the amateur market, these companies are also successfully used by artists who wish to self-publish. PHOTO-ESSAY (see also Photobook). The photo-essay shares many of the characteristics of a photobook, in that it involves a set of interdependent photographs. The photo-essay departs from the photobook in that it is not necessarily bound into a volume, but can be found on-line, in a magazine or journal, or even in an art gallery setting. It can be a curated enterprise, such as the Here is New York volume, a book of an exhibition that is produced ‘by the people and for the people’ and claims to be ‘the most comprehensive record of the events of 9/11’. The photo-essay usually functions as a journalistic or documentary piece and may involve substantial contextualising text. PHOTOJOURNALISM uses photographs, often a single photograph, to report news events and current affairs. Photojournalism is an immediate form of reportage, and is often discarded after the event. However, some examples of photojournalism, such as the war photos of Robert Capa, have been preserved by becoming regarded as photo-essays, or as single autonomous art forms, perhaps with a dilution of their original political and journalistic message. PHOTOMONTAGE is the process of making a composite image by bringing together two or more photographs, or usually parts of them, either physically or digitally, into a new image. It is also the name for the resulting composite image. Related terms are collage, cut-up and montage, all of which also have applications outside of photography. Working in Germany and Czechoslovakia between the two world wars, John Heartfield was a pioneer of modern photomontage and he developed a method of appropriating and reusing photographs to powerful political effect. Peter Kennard is a contemporary proponent of political photomontage, as are Adam Broomberg and Oliver Chanarin. The photomontage of John Stezaker is less overtly political, but still revealing of the subversive force of images via photomontage. PHOTOSHOP is a digital image editing software application produced by Adobe Systems, and is an integral part of the Adobe Creative Cloud. It was created in 1988 by software engineers Thomas and John Knoll. Since then, it has become the industry standard in photo editing; the word ‘photoshop’ is now used as a verb, as in ‘to photoshop an image’. Photoshop is, in effect, a digital development of analogue methods photographic manipulation and retouching, but the power, accessibility and relative ease of use of photoshop has caused some doubt as to the authenticity of the digital image per se. There are strict guidelines for the use of photo editing software in journalistic images. POLYSEMOUS originates the from Greek: πολυ-, poly-, ‘many’ and σῆμα, sêma, ‘sign’. It is a term used to indicate the coexistence many different meanings or messages within a single object. Roland Barthes uses the term in relation to the image, and in Image, Music, Text he argues that all images are polysemous and cites the ‘linguistic message’ as one method that society has developed ‘to fix the floating chain of signifieds’ (1977, p.39). POSITRON EMISSION TOMOGRAPHY (PET) is a specialized radiology procedure used to examine various body tissues to identify certain conditions. A a tiny amount of a short-lived radioactive substance, called a radionuclide (radiopharmaceutical or radioactive tracer) is injected into the living subject to assist in the examination of the tissue under study. RASTER (see also Vector). The dimensions of a raster image are measured in pixels. Unlike vector images, which are mathematically plotted, raster images have specific pixel resolution and cannot be enlarged without losing quality. Common raster image file extensions include .BMP, .TIF, .JPG, .GIF, and .PNG, but are many raster file types in existence. REALISM traditionally refers to a mid nineteenth century artistic movement where subjects are painted from everyday life and in a naturalistic way. The term was coined by the French novelist Champfleury in the 1840s and in art was exemplified in the work of his friend the painter Gustav Courbet. The term is more commonly used to describe any artworks that are painted in a realistic way, especially those with gritty subject matter, but it is also applied as a stylistic term to any work that is almost photographic in nature, irrespective of subject. REMEDIATION is, in simple terms, the incorporation or representation of one medium in another. It can be perceived as a simple historical development: photography remediated painting, film remediated stage production, television remediated film, and so on. However, remediation is not always a simple progression in terms of utilising a newer medium, and even if the remediated object attempts to update and emulate the ‘original’, transition between media is not a simple affair — new meanings and critical considerations arise with any remediation. RENAISSANCE PAINTING emerged in Italy in the late 14th century, reaching its peak in the late 15th and early 16th centuries in the work of Italian masters such as Leonardo da Vinci, Michelangelo and Raphael. Different schools of painting, based around cities such as Milan, Bologna, Venice, Florence and Rome, demonstrated very distinct regional characteristics. It was thought that the Renaissance marked an abrupt break with mediaeval values, as is suggested by the French word renaissance, meaning ‘rebirth’. However, study of historical sources tells us that Renaissance values, such as humanism and individualism, were already present in the late medieval period and became dominant in 15th- and 16th-century Italy alongside social and economic changes. REPRODUCTION is the act of reproducing an original, as a copy or a duplicate. It can be carried out, for example, manually (by hand copying), mechanically (by printing press), or electronically (by digital imaging). 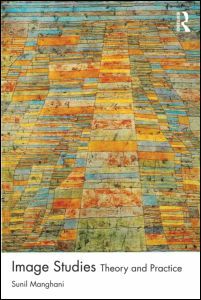 Reproduction, like remediation, forces a change in the status of the object and Walter Benjamin’s essay, ‘The Work of Art in the Age of Mechanical Reproduction’, written in 1936, is still widely read and remains relevant to this discussion. John Berger addresses the implications of the reproduction of artworks in the first part of his 1972 TV series, Ways of Seeing. SCIENCE PHOTOGRAPHY is an applied imaging technique that has been used for scientific enquiry and classification since the early days of photography. The exhibition Brought to Light: Photography and the Invisible, 1840-1900 (San Francisco Museum of Modern Art, 2008) surveys a period when science and photography were in a state of rapid development and scientists were using cameras in conjunction with other optical devices, such as microscopes. In the exhibition catalogue, Tom Gunning argues that these images functioned ‘not simply to record a recognizable world, but also to provide images of a previously invisible one.’ (in Keller: 2008, p.54). Today, with advanced optics and image processing, together with the use of techniques such as magnetic resonance imaging, ultrasound imaging and thermal imaging, this is more than ever the case. SEMIOTICS / SEMIOLOGY is the study of signs, developed by Swiss linguist Ferdinand de Saussure (1857–1913) in relation to linguistics. Saussure’s notion of semiotics was extremely influential in the field of literary criticism, influencing writers and critics such as Roland Barthes, perhaps the key post-war semiotician. As well as being a tool of literary analysis, visual semiotics is applied to a wide range of disciplines, such as art, film, advertising and fashion, by Barthes and others. Barthes largely follows Saussure’s use of the signifier (the form that the sign takes) and the signified (the concept it represents), and, crucially, views non-linguistic signs as carrying linguistic meanings. (See also SIGN). SCOPIC REGIME is a phrase coined by French film theorist Christian Metz in The Imaginary Signifier (1975) to distinguish cinema from theatre. Because of the cinematic apparatus’s construction of an imaginary object, its scopic regime is unhinged from its ‘real’ referent and the visual representation is independent of what is represented, both spatially and temporally. The term is used more broadly to define visual experiences delivered and mediated by other technologies, such as photography, television, and digital computers, as well as to suggest significant gender differences, such as those present in the ‘male gaze’. (See MALE GAZE). SIGN is, in simple terms, something that can be interpreted as having a meaning that is something other than itself. Signs can work through any of the senses, visual, auditory, tactile, olfactory or taste, and their meaning can be intentional, such as a word uttered with a specific meaning, or open and unintentional. The two dominant contemporary models of the sign are those of the Swiss linguist Ferdinand de Saussure (1857–1913) and the American philosopher Charles Sanders Peirce (1939-1914). According to Saussure, a sign is composed of the signifier and the signified and is the result of the relationship between the two. Pierce’s complex ‘triadic’ theory claims that signs consist of three inter-related parts: a sign, an object, and an interpretant, a process logically structured to perpetuate itself as the interpretant itself becomes a sign. (See also SEMIOTICS/SEMIOLOGY). SIMILE OF THE CAVE or Allegory of the Cave can be found in Plato’s best-known work, The Republic. It is an attempt to explain the nature of reality, as well as being one of the most influential comments on the image in the history of philosophy. The allegory tells of a group of people who have spent all their lives chained to the wall of a cave, facing a blank wall. Their view of reality is that of shadows projected on the wall from things passing in front of a fire behind them. Plato explains how the philosopher is like a prisoner who is freed from the cave and comes to understand that the shadows on the wall do not make up reality at all; images are being mistaken for truth. Jean Baudrillard’s Simulacra and Simulation (1994), in particular his four stages of the image, is derived from Plato’s simile of the cave. The image bears no relation to any reality whatsoever: it is its own pure simulacrum. SKETCHNOTES use a technique of rapid, real-time visual note-taking that enables the listener to synthesise and understand a lecture or presentation. According to Craighton Berman they may include text; containers (bubbles, boxes, circles and clouds); connectors (arrows and lines); frameworks (Venn diagrams and continuums); and icons (simple drawings to represent an idea). See also (under Create! ): Sketchnotes! SONOGRAPHY is a scientific imaging technique based on the application of ultrasound. It was originally developed for the military, but is now often used to see internal body structures such as tendons, muscles, joints, vessels and internal organs. Ultrasonic images, also known as sonograms, are made by sending pulses of ultrasound into tissue using a probe. It is commonly used during pregnancy. The sound echoes off the tissue; with different tissues reflecting varying degrees of sound. These echoes are recorded and displayed as an image to the operator. STRUCTURALISM is a 20th Century intellectual movement that has had a profound effect on philosophy (through linguistics, sociology, anthropology and other fields). Structuralism attempts analyse a specific field as a complex system of interrelated parts, and holds that all human activity has meaning because of the language system in which it operates. It is strongly influenced by the work of Saussure and is closely related to semiotics and how meaning is constructed and understood. The key developments in structuralism took place in France in the latter half of the 20th century, with Michel Foucault, Claude Lévi-Strauss, Jacques Lacan, Jean Piaget, Noam Chomsky, Roland Barthes and Louis Althusser all instrumental in developing its theories and techniques. Below is a famous cartoon, The Structuralist Lunch Party, picturing four of those credited for the development of structuralism: Foucault, Lacan, Lévi-Strauss, and Barthes. SUBSEMIOTIC is a term used by artist and cultural theorist Mieke Bal that defines certain marks within an image as being apparently meaningless, but still with potential to carry meaning: a subsemiotic mark may contribute to the construction of a sign, but may not be a sign in itself. TISSOT’S INDICATRIX is a mathematical contrivance put forward by French mathematician Nicolas Auguste Tissot. 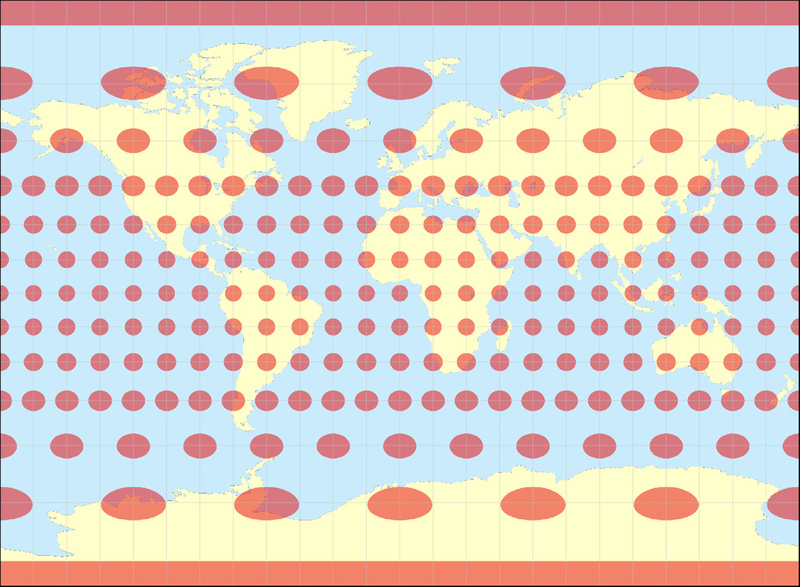 It is the geometry that results from projecting a circle from a curved geometric model, such as the earth, onto a map. Tissot’s influential papers of 1878 and 1881 present his ‘ellipse of distortion’, universally known today as Tissot’s indicatrix: he imagined an infinitesimally small circle centered on some point on the surface of the Earth, and considered its shape after transformed by a given map projection. He proved it to be a perfect ellipse, centered exactly on the corresponding point on the map. ULTRASOUND is a sound wave with frequencies higher than the upper limit of human hearing. This limit varies from person to person and is approximately 20 kilohertz (20,000 hertz) in healthy, young adults. It is not different from ‘normal’ (audible) sound in its physical properties, only in that humans cannot hear it. Ultrasound devices operate with frequencies from 20 kHz up to several gigahertz. See also SONOGRAPHY. VECTOR images use geometrical primitives such as points, lines, curves, and shapes or polygons—all of which are based on mathematical expressions—to represent images in computer graphics. Put very simply, a vector graphic is described in mathematical terms such as ‘plot a line from A to B’ or ‘draw a circle with a diameter of X’. Unlike raster images, because vector images are plotted mathematically they can be upsized with no loss of quality. File formats include AI (Adobe Illustrator), EPS, and SVG (an open standard file type widely used in web applications). (See also RASTER). VISUAL CULTURE gained status as a subject area in the 1990’s. Nicholas Miimrzoff’s An Introduction to Visual Culture (1999) and his edited volume The Visual Culture Reader (2002) were instrumental in the definition of ‘visual culture’ as a field of study, although the first book titled Visual Culture (Vizuális Kultúra) was written by Pál Miklós in 1976. Major works within the field of visual culture include those by W. J. T. Mitchell, Stuart Hall, Roland Barthes, Jean-François Lyotard, Rosalind Krauss, and Nicholas Mirzoeff. Many different academic fields include, and are included in, visual culture, such as cultural studies; art history; critical theory; philosophy; and anthropology. The relationship between visual culture and the newer field of ‘image studies’ is much debated. (See also IMAGE STUDIES). VISUAL LITERACY is the ability to interpret, negotiate, and make meaning from images of all kinds, extending the meaning of literacy as interpretation of a written text. The term is not without contradiction, not least because ‘its two words compress the common and unavoidable contradiction involved in saying that we “read” images’ (Elkins, 2008, p.1). However, the term has a long, if intermittent history within school education to refer to the cultivation of a critical appreciation of the visual. Furthermore, it is a convenient term, especially if we take it to deliberately foreground the tensions at stake in reading, seeing and creating the visual (Elkins, 2008). VISUALITY refers to specific ways of seeing, or representing the world in visual terms. Hal Foster argues in Vision and Visuality, that whereas ‘vision’ is a physical operation, ‘visuality’ also has a psychological and social aspect. (1988, p.ix). Nicholas Mirzoeff, in his essay ‘On Visuality’, explains that although this (Foster’s) definition seems straightforward, the two terms cannot be easily distinguished, and that Foster himself concedes this. (Mirzoeff: 2006). The term is widely used, yet still remains problematic to define. WITTGENSTEIN’S HIEROGLYPHICS Wittgenstein, in the Tractatus Logico-Philosophicus (1922), considers language as a pictorial medium and suggests that the ‘proposition’ is akin to hieroglyphic script, as it pictures the facts it describes. Mitchell (1986, p.29) calls this Wittgenstein’s ‘picture theory of language’. The subject of the hieroglyph has since been taken up by postmodern scholars such as Jaques Derrida, in his Of Grammatology (first published in French in 1967). WORK OF ART IN THE AGE OF MECHANICAL REPRODUCTION is an essay written by Walter Benjamin in 1936, at a time of great technical development in the fields of photography and film. The essay is widely read and continues to be influential across the humanities, especially in the fields of cultural studies, media theory, and art history. Benjamin discusses concepts of authenticity, and the effect of reproduction on the original. X-RAY is a form of electromagnetic radiation. 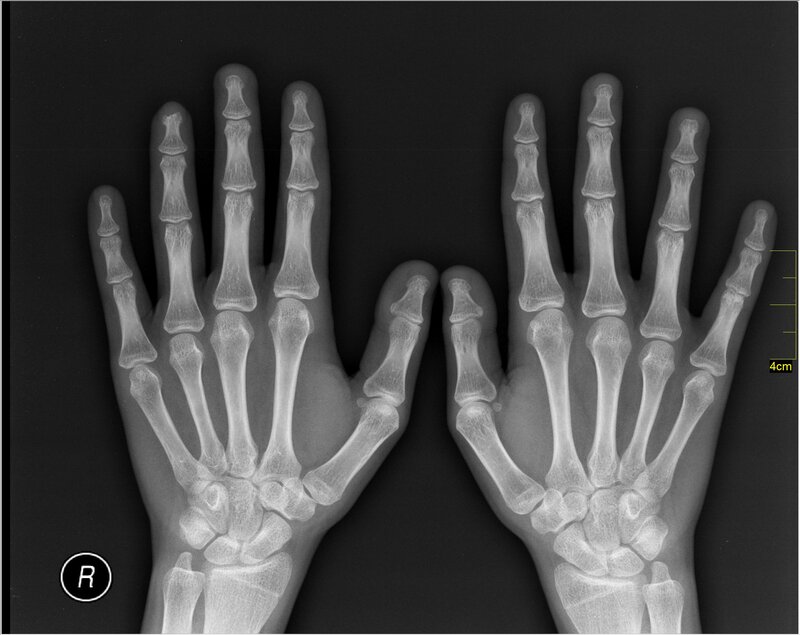 In 1895 Wilhelm Röntgen discovered that X-rays were able to identify bone structures, and since then X-rays have been widely used for medical imaging, with the first medical use taking place less than a month after Röntgen’s paper on the subject. An x-ray image, or radiograph is made by placing an object in front of an X-ray detector and then illuminating it with a short X-ray pulse. The x-ray is also applied outside the medical world, for example in the field of airport security. Podcast: Introduction to Visual Culture by Jeanne Willette (Otis College of Art and Design), also available through iTunes. ImageTexT – journal for the study of comics and related media. THE FAMILY OF MAN – Official website of the Museum, Clervaux, Luxembourg. Take a Virtual Tour. Agitated Images: John Heartfield & German Photomontage, 1920–1938. The Getty Museum.